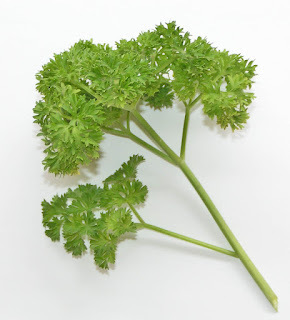 "Freeze Parsley and other herbs: roll tightly into a bundle, wrap with a sheet of foil, place foil roll into a platsic bag, remove air, label, and freeze. Keeps very well for up to 6-8 months. When ready to use herb, bring out foil roll, while still frozen unwrap a small amount of roll, slice off amount you’d like to use, and put to use immediately. So fresh and fragrant. " This idea will easily take those of us who are without a growing season 5-6 months out of the year through the winter! Yay!